By this time Sayang had already stopped eating, although for myself, I wasn't done yet. Frankly, I didn't really eat much at Sai Woo. 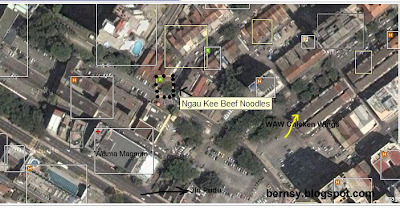 I thought, why waste the space, we should go try the Alor's Famous Beef noodles. This stall has not changed much since I got introduced to this place, some 10 years back. Still looks dirty, and is still by the roadside in the corner of the street right opposite of Corona Inn. But most importantly, their noodles still taste the same. For me the bowl of noodles were above average, although someone else might give it a 110%, eat until stick to wall situation. To me, these are nice, because not many people knows how to make beef noodles like Ngau Kee does. 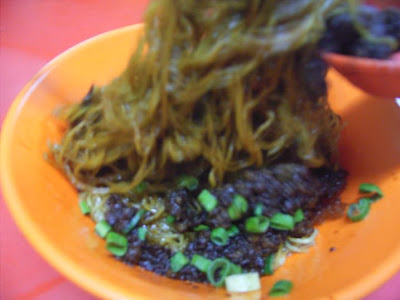 I ordered dry noodles (kon lou), and the above picture was the best I could get, blurry due to low lighting. Didn't bring tripod also. Their noodles, when you bite into them, it does gives you that bouncy feel, which indicates the freshness of the noodles. The black stuff is mince meat. Yummy !!! Their beef balls were just equally tasty. If you are the type who loves the insides, I believe this stall also serves some of the best Cow Parts Soup in KL. 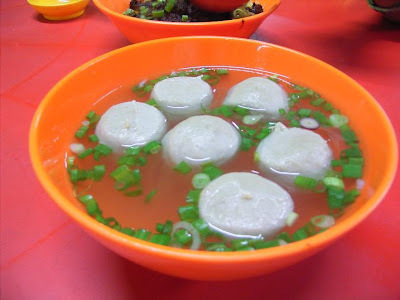 (Ngau Chap) . 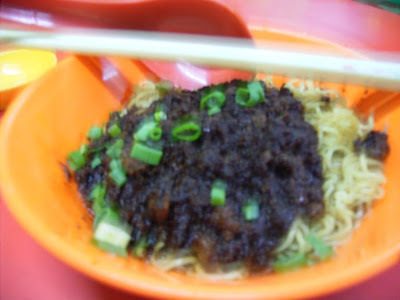 Also try their Ngau Lam instead of just going for the beef balls.